Why is it important for runners to get Chiropractic care? The nervous system controls and regulates all functions of the body including the muscles and ligaments. 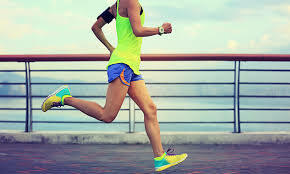 In order for runners to perform their best, it is important that they have an optimally functioning nervous system. Chiropractic care for runners promotes a healthy spine and nervous system which allows for better performance, endurance, and healing. The nervous system coordinates communication between the brain and muscles, creating the optimal environment for peak performance. Chiropractic care also helps with recovery by reducing the inflammatory processes that cause pain and slow down performance and endurance. How does Chiropractic care for runners improve their preformance? Stress on the spine and nervous system can cause nerves, ligaments, muscles and tendons to become irritated. For the runner, this can cause improper running form and discomfort on the hips, knees, feet, and ankles. Chiropractic adjustments take off the stress on the spine and nervous system, allowing the body to function and perform better. How often should a runner be given a Chiropractic adjustment?